As multi-faceted members of the pharmacy team, pharmacy technicians prepare medications for dispersal under the supervision of a licensed pharmacist. 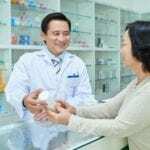 Technicians assist customers in person or over the phone, handle medications, manage administrative tasks, and perform other essential duties in retail and community pharmacies. Pharmacy technician training programs prepare adults to meet the demand for trained technicians in pharmacies across New Jersey. Students gain a broad knowledge of the pharmacy operation and develop the skills necessary to manage inventory, prepare medications, calculate dosage requirements, compound mixtures, package and label products, and update patient profiles. Technicians perform many of the same duties as a pharmacist, but they don’t need to complete years of college. However, they cannot offer counsel or complete any duties that require the clinical judgment of a pharmacist. A pharmacist must check the technician’s work before medication can be dispensed to the customer. 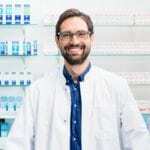 Certification as a pharmacy technician has become an important issue for employers due to the wider scope of responsibilities that technicians perform. Graduates of a pharmacy technician program must apply to a national certification board such as the Pharmacy Technician Certification Board to take the exam and become a Certified Pharmacy Technician. Beginning in 2020, all candidates for national certification through the PTCB must complete an accredited pharmacy technician program. In just 2 to 4 months, the New Educare Institute of Healthcare will prepare adults for employment as a pharmacy technician. The program is available both in on-campus or online format. The program is approved by the New Jersey State Department of Education and Labor and Workforce Development and is recognized by leading National Certification Associations. Foundational courses include Introduction to Pharmaceutical Care, Law and Ethics for Technicians, Pharmaceutical and Medical Terminology and Abbreviations, Dosage Forms and Microbiology, Immunology and Vaccines, Safety in the Workplace, Drug Actions and Interactions, Anatomy and Physiology, Pharmacy Math, Nutrition, and Medication Errors. Core courses are Calculation of Dosages, Hospital Pharmacy Practice, Community Pharmacy Practice, Advanced Pharmacy Practice, Extemporaneous Prescription, Sterile Compounding, Pharmacy Operations, Health Insurance, Documents and Billing, and Inventory Control. At the conclusion of the program, students will demonstrate critical thinking, problem-solving, and time management skills, understand the laws and regulations that govern practice, understand the role of the pharmacy technician, perform mathematical calculations, manage the preparation and dispensing of prescriptions, and follow protocols to avoid medication errors and maintain public safety. Financial aid may be available for eligible students. Job placement assistance is available for all students. The Pharmacy Technician certificate program at AIMS Education is designed to prepare students with the skills to dispense medications under the direction of a licensed pharmacist. The curriculum will include hands-on and theoretical training in drug classifications, medical terminology, pharmacy calculations, pharmacy operations, inventory control, and billing systems. It will cover a total of 650 clock hours including 400 hours in the classroom and lab. Students must participate in a mandatory pharmacy externship comprising of 250 hours of practical work. A mentor will guide students through the responsibilities of a pharmacy technician to support the development of clinical skills. Students must complete the required classroom and lab hours before commencing the externship. Through partnerships with healthcare facilities throughout New Jersey, AIMS is able to place students in one or more sites for the externship experience. Clinical hours will depend on the availability of the clinical site and are typically during normal business hours. Day and evening schedules are available. The day program meets Monday through Friday from 9:00 am to 2:00 pm for 7 months. The evening program meets Monday through Friday from 5:30 pm to 9:30 pm for 9 months. Program graduates will be eligible to sit for the Pharmacy Technician Certification Exam administered by the PTCB. Candidates who successfully complete the exam will obtain the Certified Pharmacy Technician (CPhT) credential. Tuition for the program is $7,125. 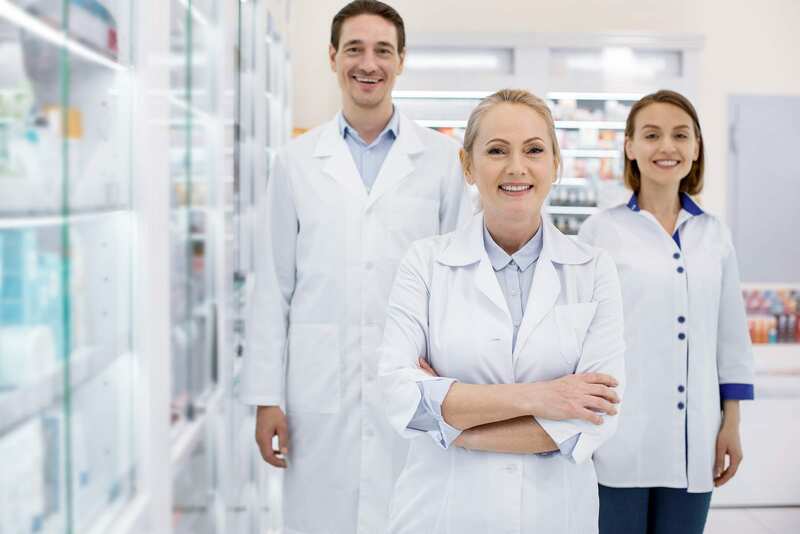 Graduates of the Branford Institute Pharmacy Technician program will be eligible to sit for the PTCB Licensing Exam to become a Certified Pharmacy Technician and a Registered Pharmacy Technician in New Jersey. The program prepares students for entry-level positions in hospitals and community pharmacies. Students will have the skills to receive and prepare prescriptions for dispensing, greet customers who enter the pharmacy, read and interpret prescriptions, and assist the pharmacist with the stocking and dispensing of medications. The curriculum will include six modules – Pharmaceutical Calculations, Medical Terminology, Pharmacology, etc. Students who complete the modules will move on to the 50-hour pharmacy externship in a community pharmacy. The externship is not mandatory but will give students the opportunity to apply the theoretical principles covered in the classroom. Day and evening classes are available. The day class meets Mondays through Thursdays from 9:00 am to 2:00 pm. The evening class meets Mondays through Thursdays from 5:00 pm to 8:30 pm. The Pharmacy Technician Online Certification program at Rutgers prepares students with the skills to qualify for entry-level positions in retail or hospital pharmacies. Though the course content is delivered online, students will be paired with an instructor for personalized assistance. The curriculum will cover pharmaceutical terminology, pharmacology of medications, role and responsibility of a pharmacy technician, pharmacy calculations, patient care and interactions, pharmacy operations, inventory management, billing and insurance, pharmacy software, receiving and dispensing prescriptions, and law and ethics. Students must complete a virtual externship to develop the practical skills needed in a retail or institutional pharmacy. Students must complete the requirements within 12 months of beginning the program. There is an additional charge for extended the allotted time. Graduates may qualify for an externship covering 40 to 100 hours upon completion of the course requirements. The externship requirements a drug screen, professional liability insurance, employment verification, criminal background, up-to-date immunizations, and fingerprinting. The school may require up to 12 weeks to secure externship opportunities for students. They will be eligible to sit for the Pharmacy Technician Certification Exam (PTCE), offered by the Pharmacy Technician Certification Board (PTCB). Tuition costs $3,300 and includes courses materials and registration fee for the PTCB exam. The Pharmacy Technician program at Samuel Morris Career Institute prepares students for entry-level employment as a pharmacy technician. The training covers FDA regulation, role and responsibilities of a pharmacy technician, types of pharmacy practice, the history of pharmacy, pharmaceutical and medical terminology, dosage forms, HIPAA regulations, and drug administration. Other topics include pharmacy law and ethics, pharmacology, drug classifications, pharmaceutical compounding, asepsis and infection control, and medical calculations. Students will understand the patient’s bill of rights, moral issues that guide daily practice, and the role of pharmacy technicians in protecting patients’ rights. The curriculum will cover 160 hours of instruction. Graduates can apply for NHA Certification. Job placement assistance is available for all students.